Tonight a candlelit vigil will be held in church from 7pm in response to the tragedy yesterday of the death of Jo Cox MP. The public consultation events held at Cooper Hall on 2nd and 4th June were well attended and lively events. With about 70 people attending the meetings over the two days. Although the responses to much of the plans policy content were generally positive, one area did result in a more robust debate and that was the potential new housing site allocation to the rear of Front Street. This was the first time a single draft document has been presented, setting all 13 policies in context. The draft document is some 60 pages long and difficult to digest in the relatively short time at the drop in events. The events were an opportunity for the residents to ask questions and raise issues which concern them, but the consultation will continue online until the 17th June. The residents were urged to download the plan from this website, look at the whole plan and submit their comments via the online form or to drop off hardcopy comments at Cooper Hall. Though residents can make their views known or ask questions at any time during this draft stage of the Plan. 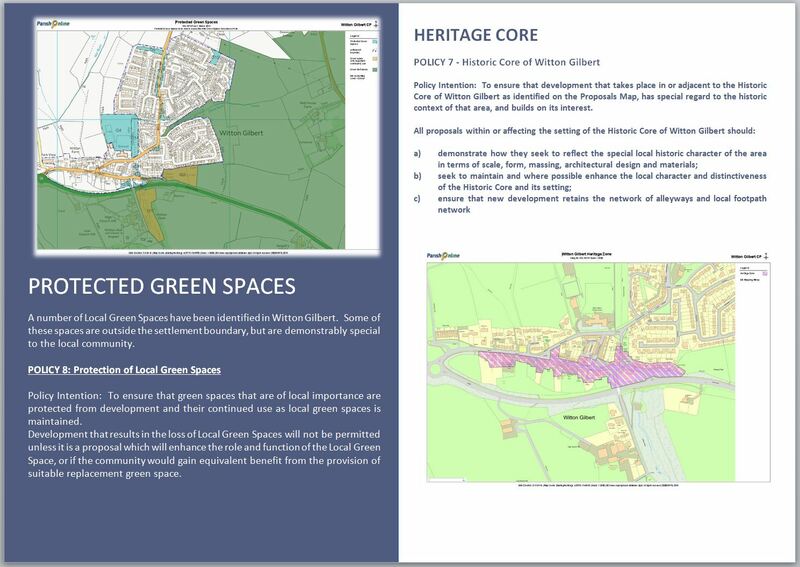 All written comments received at all stages of the Plan are documented and will be retained for scrutiny in the later formal stages of the Plan. 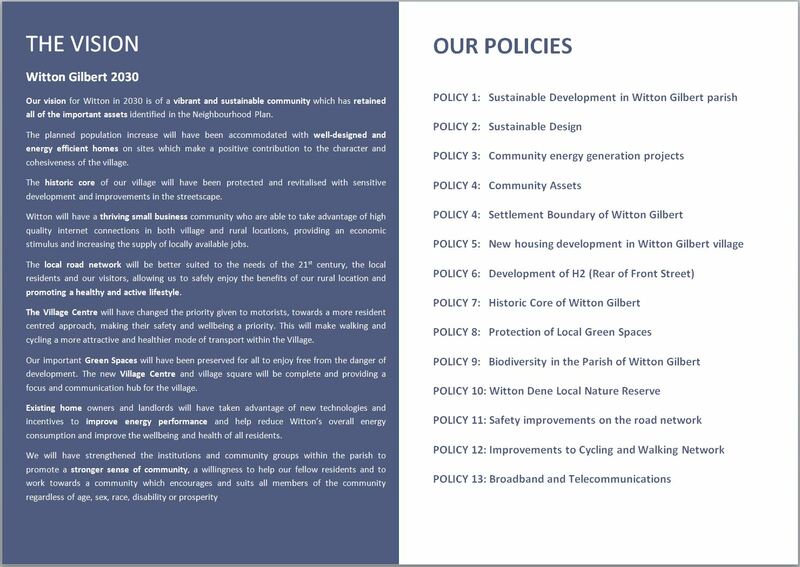 We welcome the opportunity to talk to the residents and feel that a single document brought some clarity and answered some questions posed previously. The Neighbourhood Plan Group consists of volunteers who all live in the parish. This is a community based initiative and is not driven by the County Council. The Steering Group have always encouraged people to contribute and to get engaged with the development of the plan. All volunteers are welcome. 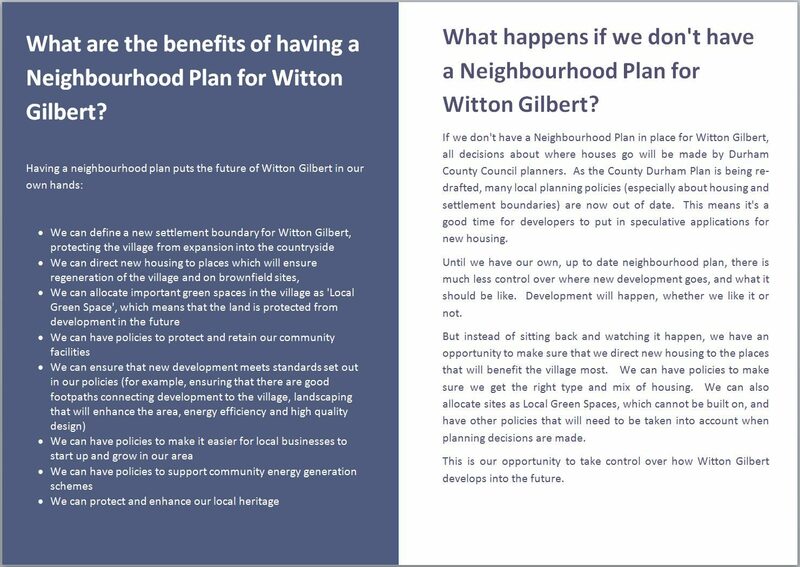 This is an opportunity for our community to set its own planning policies to control development in the parish. The Neighbourhood plan is a vision for our community for the next 15 years. The plan is designed to protect our parish from unwanted development and protect the facilities and character of the village for the next generation. 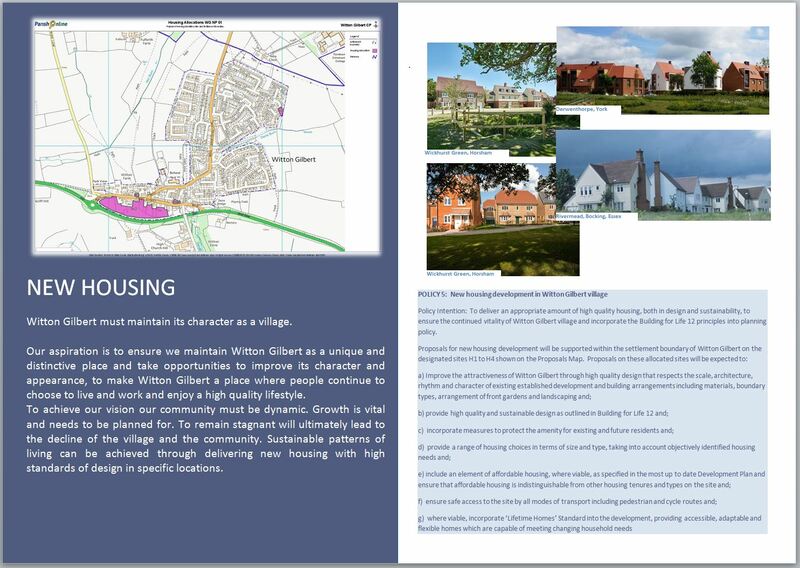 The Neighbourhood Plan cannot make things happen, the aim is to encourage good quality design with a design guide and prevent poorly planned development. The policy aims and objectives are based on research and consultation carried out over the last 3 years. The Plan is still very much in its informal consultation stage and there is more work to do. Please do not think that you have missed the opportunity to have your views heard. You can contact us at any time. Suggestions and ideas from residents are always welcome, we would appreciate any help. 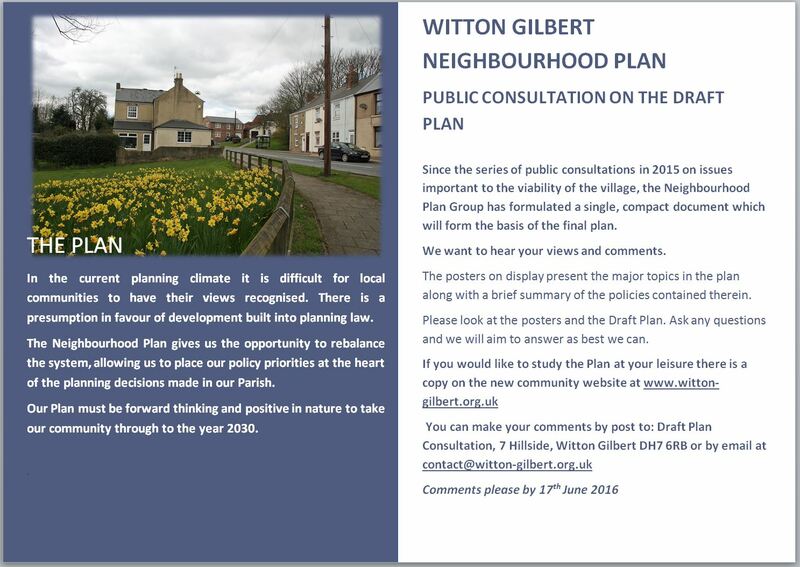 Download the Consultation presentation sheets below.